I am so very happy to release my newest design: Pellucid! 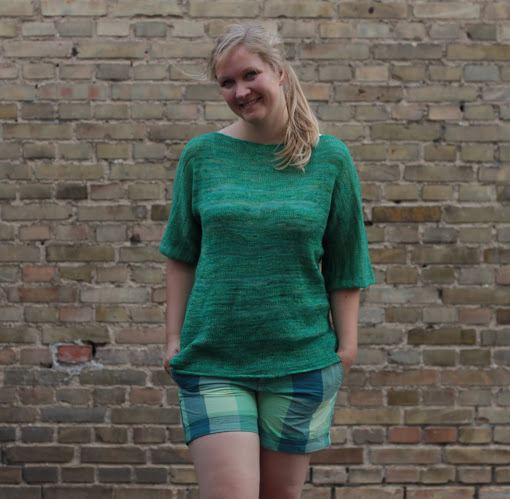 A simple, yet elegant top, worked with a large amount of positive ease. The yarn, worked at a large gauge, creates a drapey fabric perfect for chilly summer days and early autumn. 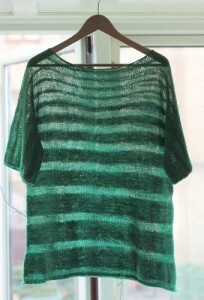 This top came into being in a collaboration with Fyberspates, dyer of some of the most luxurious yarns I know. Using Gleem Lace in alternatingly 1 and 2 strands, subtle striping is created – in this case, perfect for muting down the busyness of the hand dyed yarn, while showcasing the hand dyed qualities at the same time. 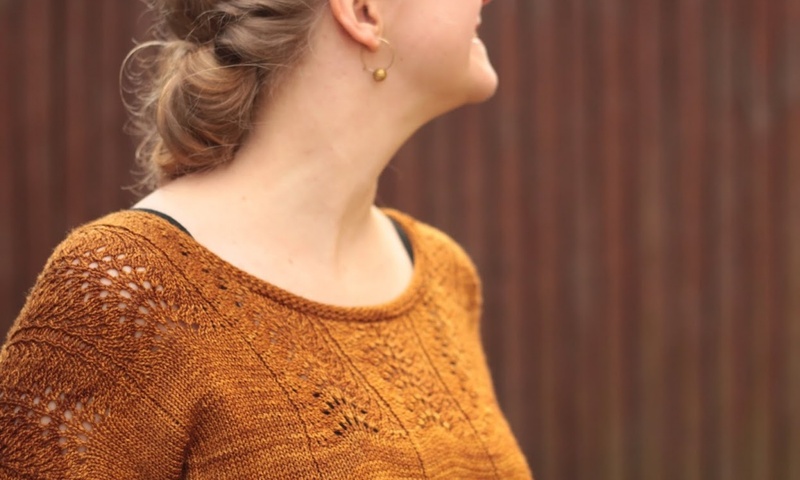 See more details on the Ravelry pattern page, where you can also buy the pattern! Previous PostPrevious Shop update Sunday 31 August!